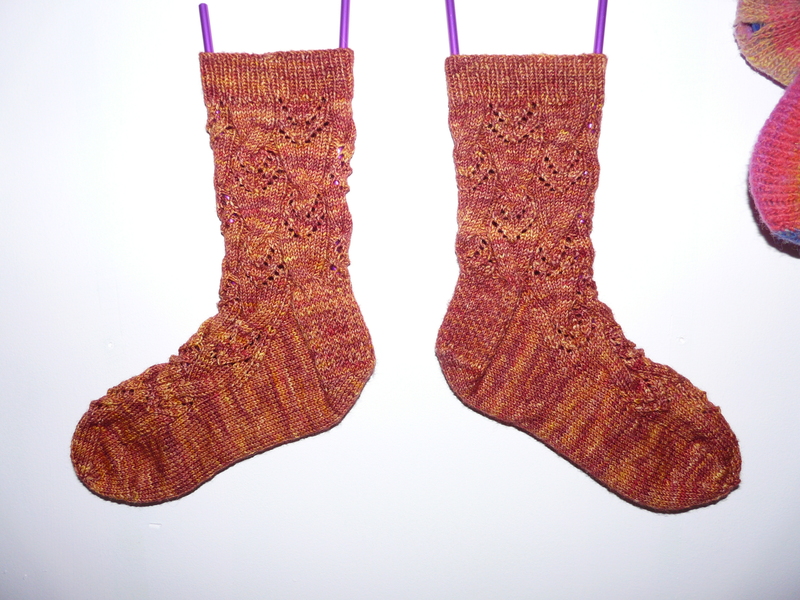 I finished my Komet socks last night. My first thought was another pair of socks. I’ve got yarn ready for three or four or maybe more. So I’m making a hat instead. I saw one in(or is that ‘on’ since it’s an on-line magazine) Knit Circus that I liked. Besides, I managed to poke a hole in my thumb and I keep sticking those size 1 needles in it. The damned thing will never heal and it hurts. Since the hat calls for size 9 and 10.5, my poor thumb is feeling a lot better. That’s it for today. I’ve got things to do–like find my girlfriend’s address.